Brushy Creek Dentistry now offers ClearCorrect! Clear Correct is a clear aligner used to straighten teeth as an alternative to traditional braces. Similar to other clear aligner brands (like Invisalign) ClearCorrect straightens teeth using a series of clear, custom-made, removable aligners that gradually move teeth a little bit at a time, eventually correcting the teeth. Please call our office to schedule a Clear Correct consultation. 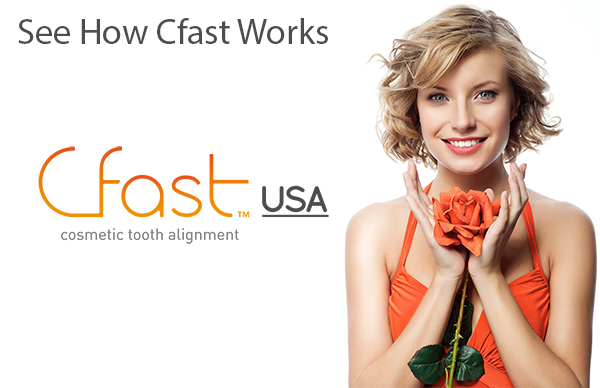 Cfast is a simple cosmetic system which uses orthodontic appliances specially designed to straighten the front teeth of adults to provide a significant improvement in the appearance of their smile in a time frame of usually less than 6 months.